For a growing business, the Xerox Phaser 4510 is a great printer that comes right out the box with high speed monochrome laser printing and paper capacity, with additional options for duplexing, network support, sorting, and multi-size paper support. In less than 8 seconds, the Xerox Phaser 4510 is ready to print up to a staggering 45 pages per minute. At 1200 x 1200 dpi resolution, the Phaser 4510 keeps text sharp--even at 6-point font sizes--and does a great job with photographs in grayscale. While the 10,000-page toner makes it unnecessary, a Toner Save feature is available to conserve on toner life while still keeping images clear and readable. This printer has some excellent paper capacity. The 4510 comes standard with a 150-sheet cassette tray on top and a 550-sheet cassette below, both capable of handling up to legal-size. The top-cassette also can double as your multi-purpose tray, able to handle transparencies, labels, post cards, envelopes, 3” x 5” postcards up to 8.5” x 14” legal paper of various bond weights up to 80 lb. card stock. The Phaser 4510 paper trays automatically knows the size and type of paper that’s loaded, so print jobs automatically use the desired media. This compact printer packs an impressive 128MB of memory. 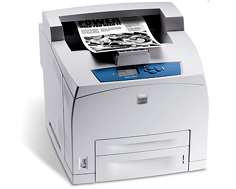 The 4510 can easily handle workloads from multiple print job requests, either as a shared printer when connected to a network computer, or as a network office printer when using the optional Ethernet card. A DIMM slot on the side of the Phaser allows for the memory to be increased up to a total of 512MB. The Phaser has parallel and USB connections. While PC’s with a parallel interface are becoming few and far between, it’s real nice to free up a USB port if your computer still has a parallel port. You get that choice with the 4510. The USB also makes it easy to connect a laptop to the printer. The control panel on the Phaser 4510 has a multi-line LCD Display, plus buttons that make manual control of the printer relatively intuitive. Through the control panel, toner levels, printer information, configuration, emulation, and network settings can be performed. Understanding the printing needs of today’s businesses in providing support for the major software applications, Xerox has installed a complete set of print emulators that should satisfy the most diverse office. Emulators include HP PCL6, IBM ProPrinter, Samsung’s SPL, EPSON, and Adobe PostScript3. The Phaser 4510 is available in 3 more models: the 4510N with Ethernet connectivity, the 4510DT which comes standard with a second 550-sheet tray and duplexing, and the 4510DX which has all the features of its siblings plus a 550-sheet output collator and a hard drive. All of the extra features are also available for this base model as options. The printer produces 56dB of sound printing, while idling at 28dB. To give you an idea of what that means: 60 decibels is the level of typical conversations and 30 decibels is the level of a quiet room. You don’t want to have this printer stationed in a conference room chugging away when a meeting is in progress. But, when placed in the copy room or in the middle of a busy office floor, any printing noises will blend in with the background. 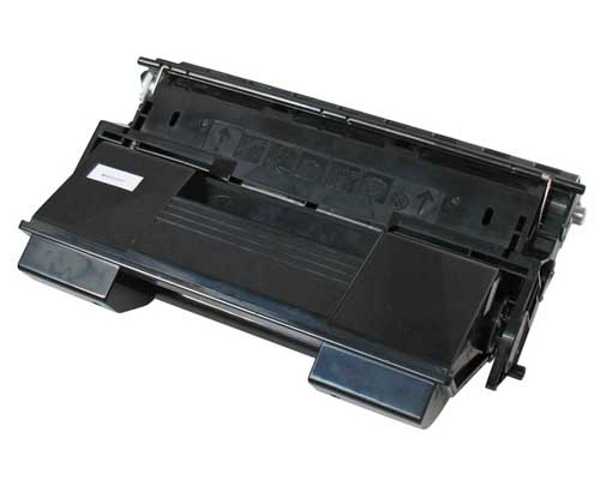 Review it: "Xerox Phaser 4510 "
The 4510’s toner and drum are integrated in a single cartridge, making maintenance easy. Right out the box, the printer comes with the standard size toner, able to print up to 10,000 pages. 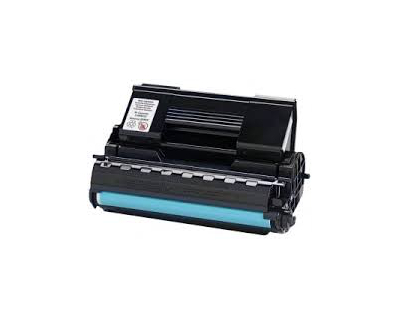 If you think this isn’t enough, there is a higher-yield cartridge with almost double the capacity to reduce times between toner replacements. This is great for a department or an office with heavy printing demands.